Roto Milling Allens Corner IL | Norwest Construction Inc.
Norwest Construction is a leader in road milling and pulverizing throughout Illinois and Wisconsin. We are known for our Roto Milling services in the Allens Corner IL community. We have been improving roads and providing superior results in Allens Corner IL though our dedicated staff for over 30 years. We have a highly experienced, skilled and professional roto milling team to help you achieve your road milling and pulverizing objectives in Allens Corner IL. We complete our jobs on-time and on-budget and we look forward to discussing your specific needs with you. Asphalt milling primarily prepares municipality roads and streets in Allens Corner IL for resurfacing by removing a specific amount of the existing asphalt prior to repaving. Some private roads and parking lots in Allens Corner IL are also candidates for the milling process. We offer profile milling to match existing elevations and curbs, surface planning to accommodate the resurfacing procedure and full depth milling as deep as 12 inches. Norwest Construction Inc., also offers milling in place. Which is a process that pulverizes existing asphalt into an existing stone base (creating a ”Hybrid” sub base) to install new asphalt mat on. This process eliminates the removal and trucking process of existing asphalt surface. It also adds the pulverized asphaltic material to the existing stone base, increases the subgrade stability and minimizes the additional cost to the contract incurred in excavation and stonework to the existing subgrade issues. Our milling process makes removal much quicker, cleaner, and cost effective. This process is also environmentally friendly, it is considered (a Green process) by the fact that we will not need to remove most of the asphalt product and this means that we will not be doing as much trucking and the existing asphalt is being reused. This way you can have your roto milling Allens Corner IL project as safe and green as possible. Also, the asphalt that is being removed will be recycled and reused in future asphalt paving projects; we therefore are recycling 100% of the existing asphalt. Only trust your milling and resurfacing projects to the experienced staff of Norwest Construction, Inc.
Norwest Blacktop and Norwest Construction has a proven track record of excellence and reliability in all types of asphalt paving projects in the Northern Illinois and Southern Wisconsin areas. We are your Roto Milling Allens Corner IL experts! We are a full-service construction company that specializes in installation of new asphalt as well as maintenance and/or replacement of existing asphalt paving. We can handle all of your paving and asphalt needs from start to finish. In the public sector Norwest Blacktop has furnished the Illinois Department of Transportation, Winnebago County and numerous municipalities with the quality, craftsmanship, and professionalism they have come to expect. 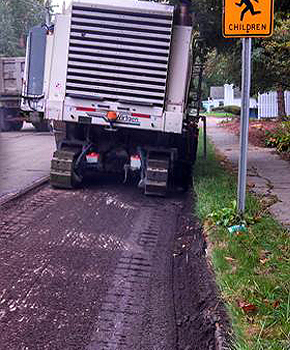 In addition to the public work, Norwest Blacktop has provided paving services for various private area contractors, local business and homeowners. We are committed to providing service and a quality product to our customers and building long lasting relationships through exceptional work, customer service, integrity and responsiveness with both the public and private organizations we work with. Norwest Blacktop is comprised of four divisions. 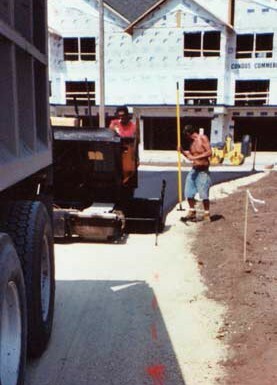 Two paving divisions, Commercial and Residential, and a Sealcoating and Cold Milling Division make up Norwest Blacktop. We encourage you to explore our web site to learn more about us.